On Thrusday July 31, 2014 the water level recorded in Rakaskop was 2477.50 feet. And this means the Rakaskop is overflowing. 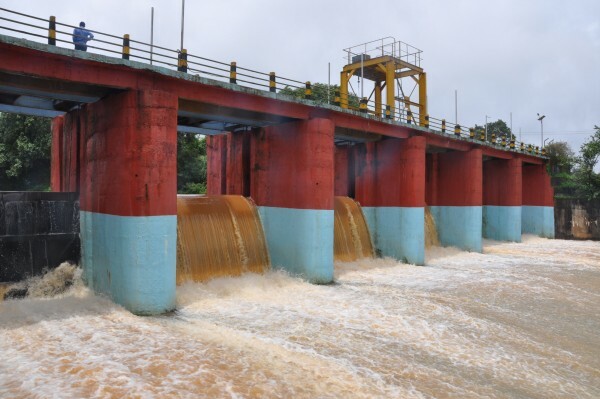 The level at Rakaskop across Markandeya river, the main source of water to the city and situated 18 kms away, was hardly one feet above the bed on July 8, 2014; and on Thrusday it has overflown. When common man like us understand the basic problem of increasing the size and capacity of the reservoir why do not the concerned authority think of the same and help people at large. Further if there is no rain for a year or two it should still serve the purpose. Can this ever happen ? And the same with Hidkal dam as well. It Will sure be empty by next Mar,April if……we fools continue to waste water as we do today.